In January 2019, Bike Oklahoma and Oklahoma Bike Summit formed a formal partnership whereas Bike Oklahoma would host all future Summits. Starting with the 2019 Ok Bike Summit, we’re proud to be the official home for now and future Oklahoma Bike Summits. See left Menu for more information. RecentlyOKC cyclist Chad Epley was struck and killed while commuting home from work. There were several things that went wrong that led to this tragedy. Some of those things could be attributed to a failing of the city infrastructure that prioritizes automobile use of transportation facilities over those of walkers and cyclists. HB2454, allowing cyclists to proceed with caution at a "dead red" stoplight, was heard in the Senate Public Safety Committee meeting, on Monday, March 25. It passed the Senate Public Safety Committee and is now on the floor for a full Senate vote. Contact your Senator! Coming up, HB1265 (e-bikes) and HB2453 (overtaking) have also been referred to the Senate Public Safety Committee. They haven't been scheduled yet, but expect both to be on the agenda for next Monday, April 1. So it's a great time to get in touch with your senators again thanking them for supporting HB2454, and to request continued support for enhancing Oklahoma's bike-friendliness through HB1265 and HB2453. HB 2454 has passed the Committee and is now on floor for a full Senate vote. You've seen them and now you want one! These Special Interest Plates are $19.00 each initially, $16.50 each for annual renewal. Membership in Bike Oklahoma is required. Note: "SAMPL" will be replaced with the next numeral in sequence and centered. Already a member of Bike Oklahoma? Check BYC on the 708D form, right column. In an effort to better reflect the purpose of the statewide bicycle advocacy organization, OBC is changing to BikeOklahoma. For a while you may still see OBC listed, but over time you will see the new branding. A Right to the Road: Understanding & Addressing Bicycle Safety goes way beyond training bicyclists to ride safer. 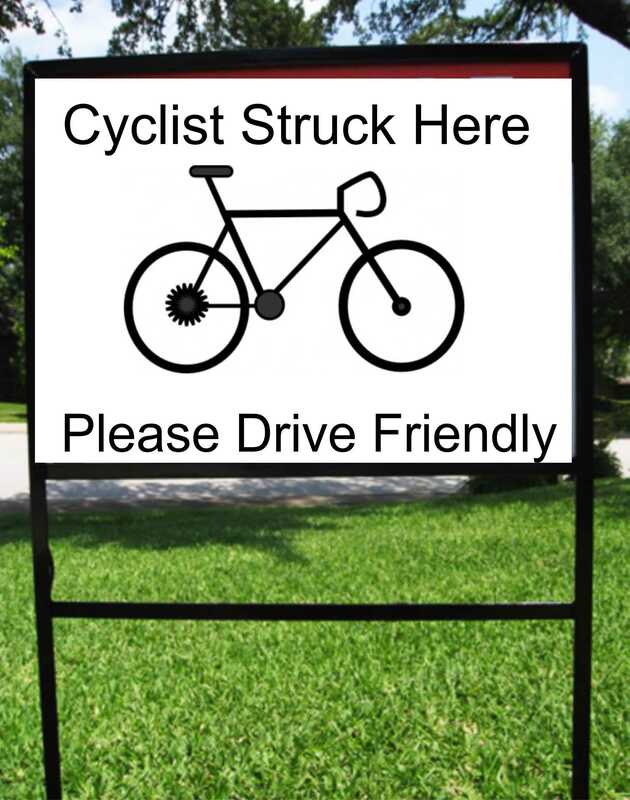 Funded through a grant by State Farm Insurance and prepared by Governors’ Highway Safety Organization, this report reinforces what some government agencies are beginning to realize and implement - that formally educating the motorist as well as cyclists, engineering better facilities, and creating and enforcing bicycle friendly laws, are key to decreasing bike-related crashes and fatalities. This report is worthy of reading cover to cover, and sharing with your local government and representatives, bike clubs, and fellow bike advocates. Did you know that Oklahoma has eight League of American Bicyclist’s (LAB) recognized Bike Friendly Businesses? These are workplaces that create a bike friendly environment for its employees. By supporting bike friendly businesses, you’re approving their impact on bicycling in Oklahoma.